I had a stormy visit to Mark Twain Lighthouse last week–April 2 and 3, 2014. No sunshine pictures for my album. True lighthouse weather. Windy, rainy, and cold! Parks and Rec director Andy Dorian gave me a fabulous personal tour of the site (during a brief dry spell April 2). 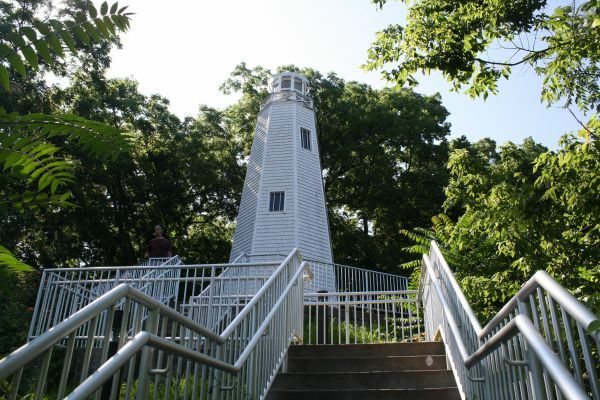 He does some terrific public events that involve the lighthouse, including a scavenger hunt and a fitness run on the lighthouse loop to raise money for autism research. Cool. I’d like to visit the lighthouse someday.